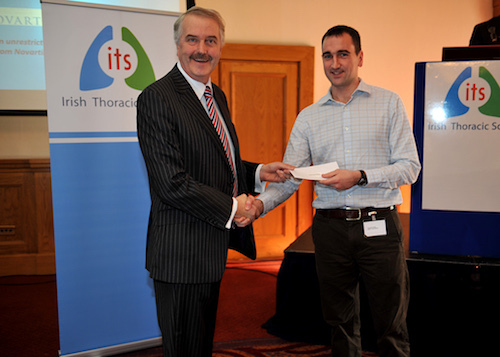 Third Prize: Dr Kenneth Bolger, Connolly Hospital for his poster entitled Microbial Communities in Asthmatic Airways. Dr Emmet McGrath pictured receiving his award from Mr Noel Convey, Allen & Hanburys. 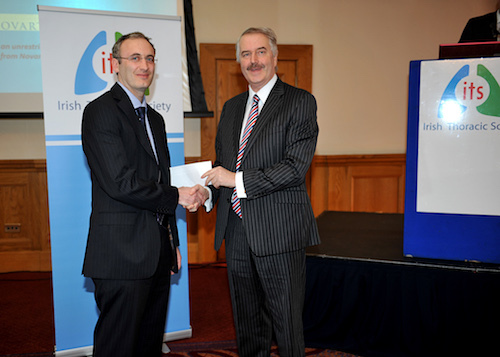 Dr Tomas Carroll pictured receiving an award on behalf of Dr Tidi Hassan from Mr Noel Convey, Allen & Hanburys. 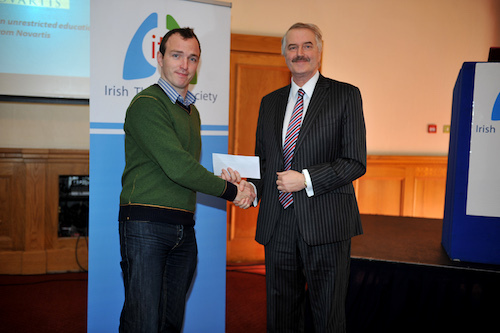 Dr Kenneth Bolger pictured receiving his award from Mr Noel Convey, Allen & Hanburys.